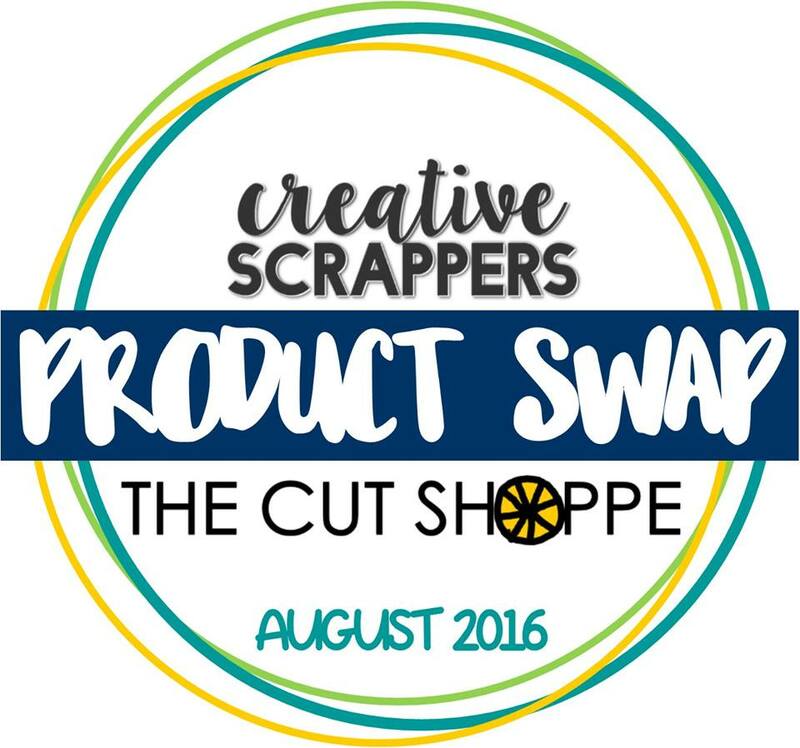 This month The Cut Shoppe Design Team is teaming up with Creative Scrappers for a fun sketch challenge! For my layout I used A LOT of products from my stash! YAY! It always feels like such an accomplishment to use products from my stash! It is ever growing so I feel a little better about my shopping splurges when I’m actually using up older product that has been lingering for years! The background paper is from an older American Crafts DIY Shop Collection. It’s a pretty watercolorish background that looks like it is set within a Polaroid frame. 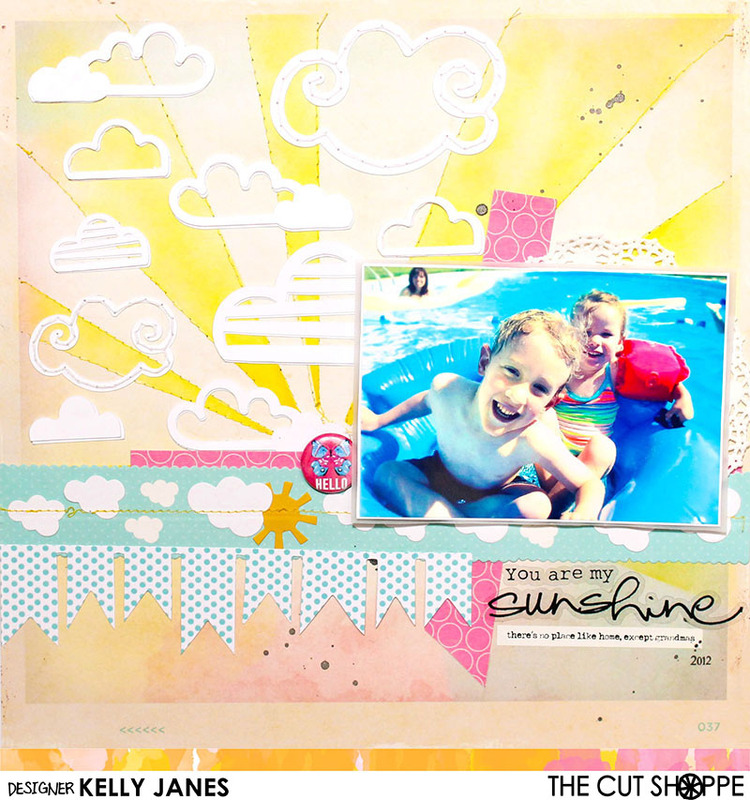 It reminded me of a sunset on a summer day so I naturally gravitated to my Heidi Swapp sunburst stencil to create sun rays on the background using Scattered Straw Distress Ink. Once the background was complete I needed clouds to complete the scene. 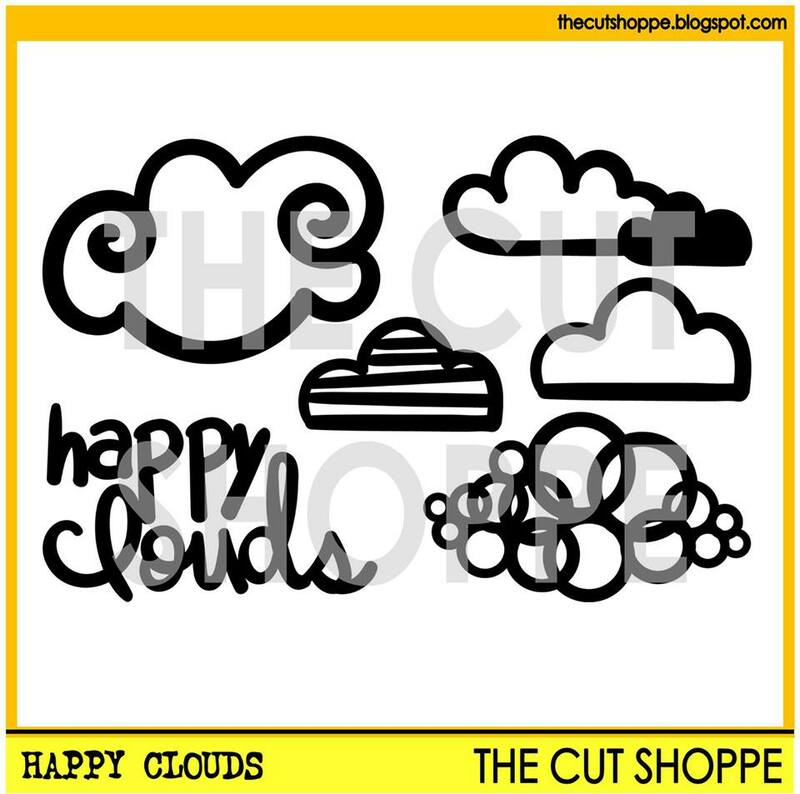 I used the Happy Clouds Cut File from The Cut Shoppe on white cardstock. 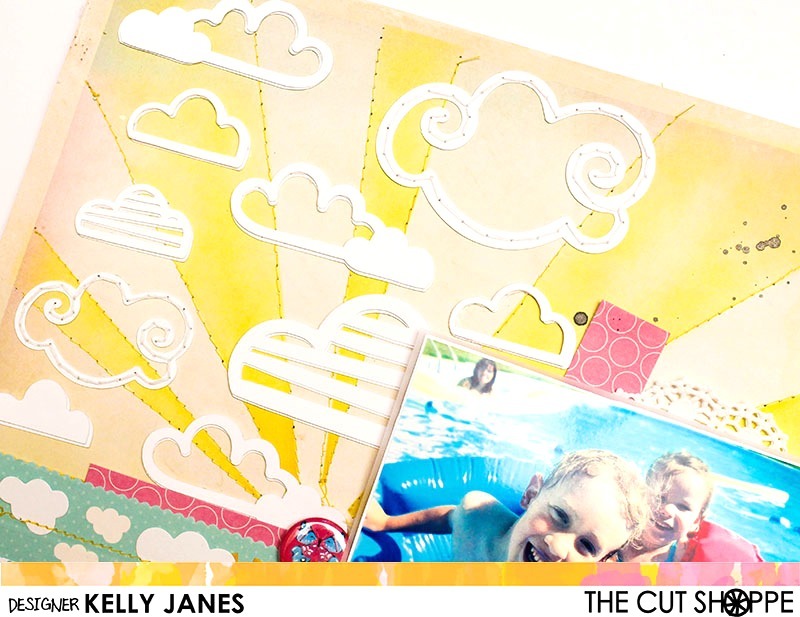 I positioned them around the page and wanted to add more texture to the layout so I hand stitched around each cloud. BUT with the sewing on the sunburst plus the hand stitching it was a bit too busy…so I covered a majority of the clouds just by layering the clouds. I slightly offset the layers for a bit of dimension. I then moved onto the photo layering. I used a doily, vellum and fun foam for a bit of dimension. Before adhering that down I added a couple strips of pink pattern paper from the Heidi Swapp Serendipity Collection. I also added a strip of clouds that I believe is from Hampton Art, but it’s been in my stash for a LONG time so I could be wrong on the label!! I also added a banner from the Serendipity Collection. The title are clear stickers from Little Yellow Bicycle and I also added a tiny word sticker from Heidi Swapp. I love that the word strip has all the journaling I need! There’s no place like home, except Grandma’s. It was perfect given that we were swimming at my mom’s pool on this fun summer day! I added a flair button from Hip Kit Club and a few black splatters to finish off the layout! 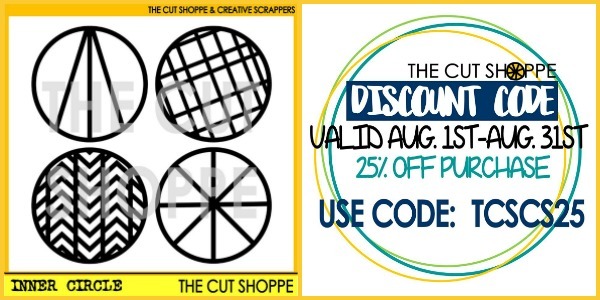 Did I mention the FREE cut file and DISCOUNT code that is available this month? 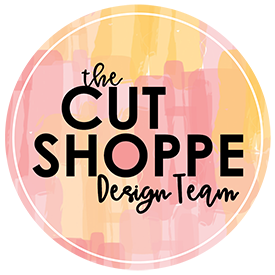 Click here to download the FREE CUT FILE! 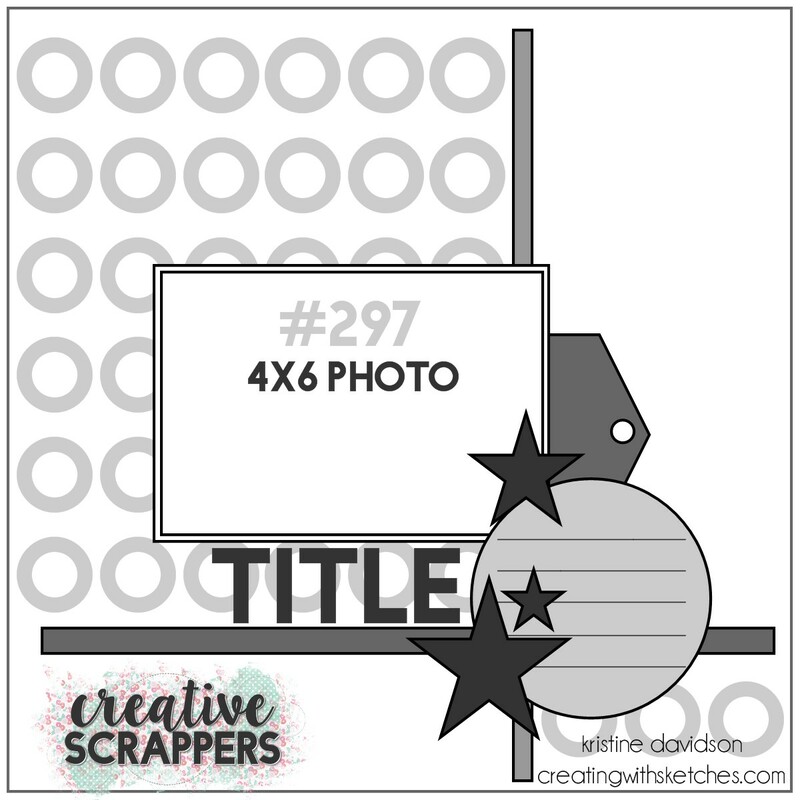 Be sure to head to the Creative Scrappers blog for all the info on how you can play along with this month’s sketch! Thanks for stopping by and don’t forget to share your layouts on social media using the hashtag #CreatingWithSketches! !